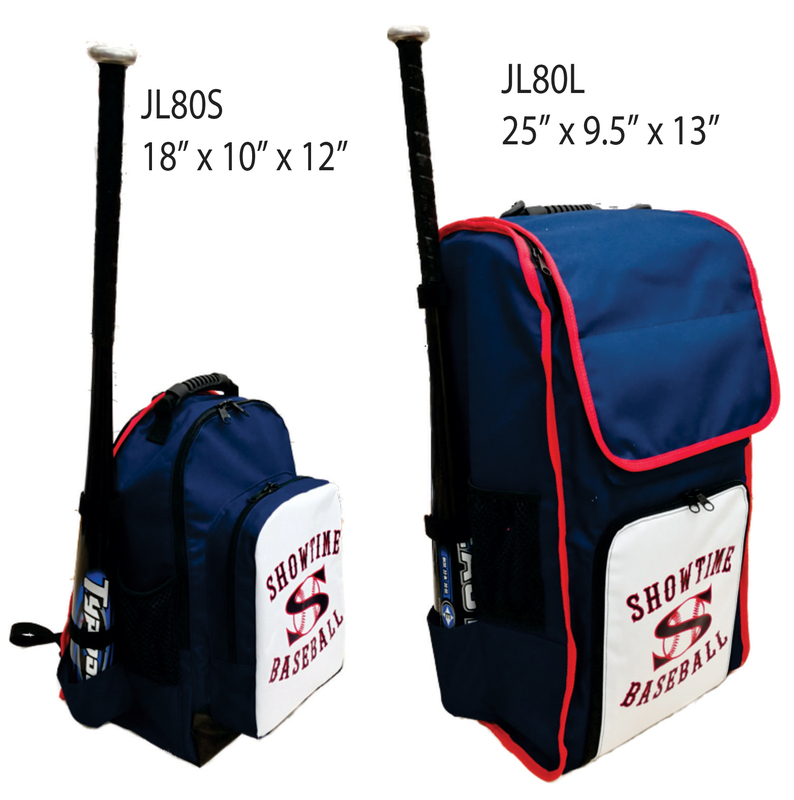 High quality baseball/softball team equipment backpacks are custom designed especially for you! Jensen Lee custom baseball/softball backpacks are made to stand up to the rough, everyday use of people on the go. Sports teams across America have put our lacrosse team equipment backpacks to the test. Made in Seattle, U.S.A. using water resistant 600D polyester. Can be customized with a variety of options to meet your needs! Please click on links below to view bag details. There are 2 pages for each bag, determined by quantity. One page has pricing for quantity of 1-5 bags and one page has pricing for team orders of 6 or more bags. CUSTOM MADE WITH YOUR CHOICE OF COLORS!